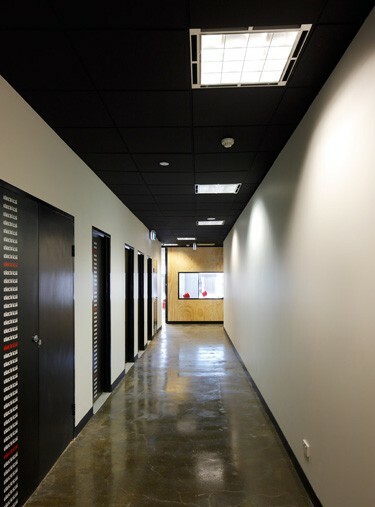 Profile Interiors offers expert advice on suspended ceilings as well as partitions and office fitouts. Suspended ceilings are often a secondary structure hung below the main structure. It may also be referred to as a ‘drop’, ‘T-bar’, or ‘false’ ceiling and is a staple of modern construction and architecture. The area above the dropped ceiling is called the ‘plenum space’, as it is sometimes used for HVAC air return. The plenum space is also very commonly used to conceal piping, wiring, as well as duct systems. At Profile Interiors, we have a wide range of products available from a variety of manufacturers to suit any application, including both suspended and commercial ceilings. 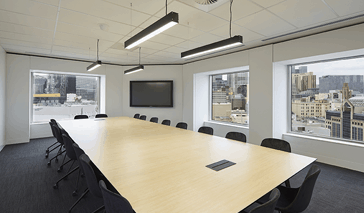 Flush plasterboard systems are also available to create special features in your boardroom or reception areas, or for special applications such as food preparation areas that require complete dust free working zones. Exposed grid systems are a simple, quick and cost-effective way of installing a ceiling to your office, factory or shop. 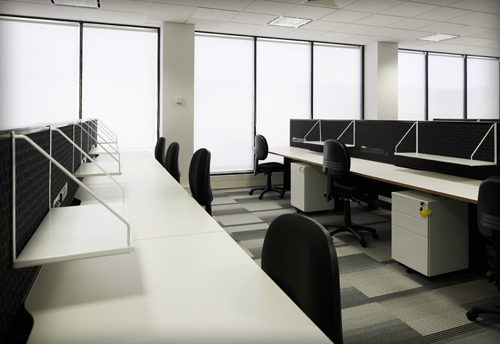 These systems allow easy access to the ceiling space for associated trade work such as electrical and air conditioning which will ensure you get the best price for your overall fit out. 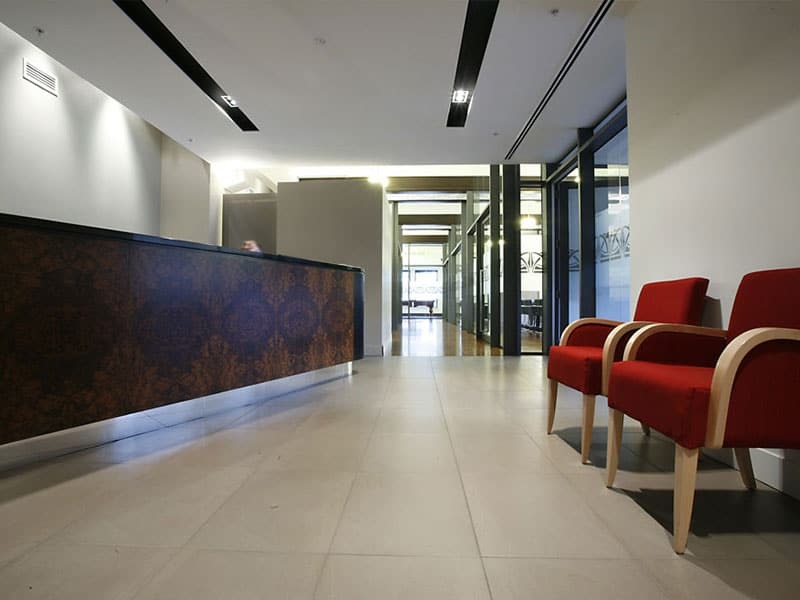 Fire safety is always a factor, ceiling tiles made from mineral fibres or fire-rated wood panels can be used within the construction to meet acceptable standards and ratings. These same tiles can provide the needed additional resistance to meet the “time rating” required for various fire code, city ordinance, commercial, or other similar building construction regulations. Another advantage of suspended and commercial ceilings is that the easily removed panels offer instant access to the plenum, greatly simplifying repairs or alterations. Wiring and piping installed behind traditional plaster or wallboard ceilings is extremely difficult to modify once the finished ceiling is in place. Wires must either be fished through hollow spaces in the walls behind, or the ceiling must be demolished in order for wiring or piping changes to be made. For a detailed summary and quote call Profile Interiors on 03 9568 3811. 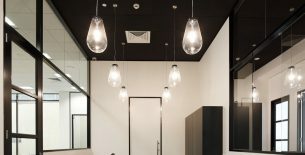 Suspended ceiling solutions by Profile Interiors – bringing design flair to your commercial set-ups and office spaces! 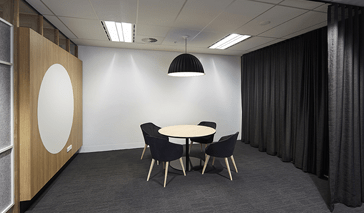 In business, the suspended ceiling is often used in conjunction with hollow steel studs to construct small office spaces out of a much larger cavernous space. Wiring and other services are run through the open ceiling, down through the hollow stud walls, and to outlets in the work areas. If business needs change, the office spaces are easily dismantled and the overall cavernous space reconfigured with a different floor plan. Profile Interiors – Providers of Professional Suspended Ceiling Installation Services for Clients in Burwood, Dandenong, Kew & Mt Waverley! 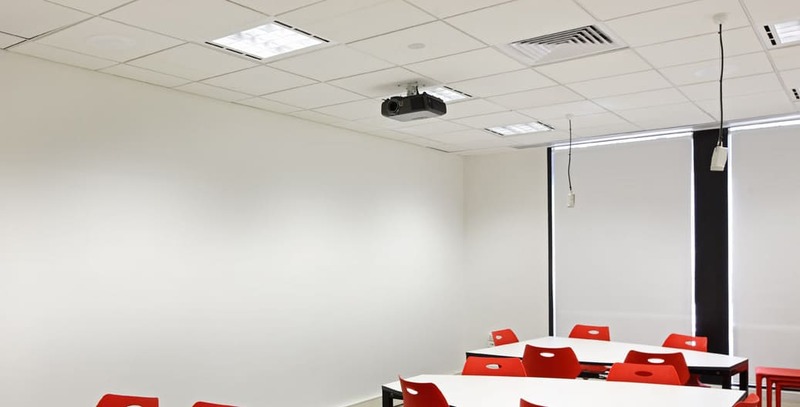 We are a licensed and qualified professionals and therefore we hold the expertise in suspended ceiling We will provide swift installation of suspended ceilings, consuming lesser time while exerting lesser effort. Our proficient installation will bring highly appealing results and we will make sure to enhance the functionality and aesthetics of your suspended ceiling by executing proper finishing. We will make sure to follow quality standards so your suspended ceilings are durable and sturdy – lasting for the long term. We will make sure to follow the highest safety procedures while installing suspended ceilings so that the office property of our Burwood, Dandenong, Kew & Mt Waverley clients do not get damaged while we are working. By monitoring strict safety standards, we minimise the chances of any accidents occurring during installation work is in progress. 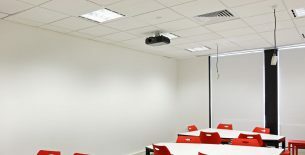 To discuss the design details of your suspended ceiling with us or for placing an order, just give us a call at Profile Interiors – your providers of top quality suspended ceiling solutions in Burwood, Dandenong, Kew & Mt Waverley. step 1 Enquire Tell us the vision you have in your mind for your office space. step 2 Design-Planning Leave it to our experts to plan out the perfect design just the way you want it. step 3 Free Quote Look at the design and approve it after which we give you a free quote with no hidden costs. step 4 Project Scheduling After getting a green signal from you, we schedule to turn your vision into reality. At Profile Interiors, we make sure that our suspended ceiling designs and solutions are installed using the highest grade of materials so your ceilings can last in your property for the long term. With accurate installation of top quality metal tracks that can reliably hold suspended ceiling panels or tiles, our final products creates a professional and sophisticated appearance of your commercial or office space. Alternatively, please fill out the online form and we will contact you as soon as possible.